Working appliances are critical to a well-organized household. When even one appliance breaks down, it can throw off your daily routine and place unnecessary stress on you and your family. Fortunately, help is just a phone call away! Mr. Appliance® of Lawton is your one-stop shop for all appliance repairs and maintenance in Comanche County, including Duncan and Lawton. Our experts will get your life back to normal in no time! Whether your refrigerator is leaking or your dryer just isn’t working like it used to, you can count on our experienced technicians to whip your appliances back into shape. We know that your time is valuable, which is why we are committed to working around your busy schedule – and not the other way around. Need us to come by in the morning? No problem! How about later in the day? We can do that too. If you are looking for an appliance repair company that you can trust, the search stops with Mr. Appliance of Lawton. 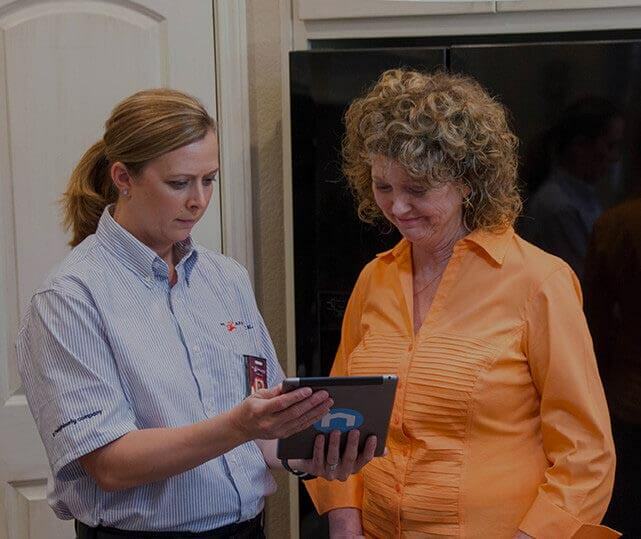 Serving clients throughout Lawton, Fort Sill and the rest of Comanche County, we offer expert repair services that are backed by a one-year guarantee! If the same part in the same appliance breaks down within one year of installation, we’ll replace it at no additional cost. What else sets Mr. Appliance of Lawton apart from the rest? If you are interested in scheduling an appliance repair or maintenance service with Mr. Appliance of Lawton, give us a call today at (580) 701-2297! $15 $15 off any repair over $100 Cannot be combined with other discounts. Offer good on REPAIRS over $100. Not valid on Diagnostic Fee regardless of the price.